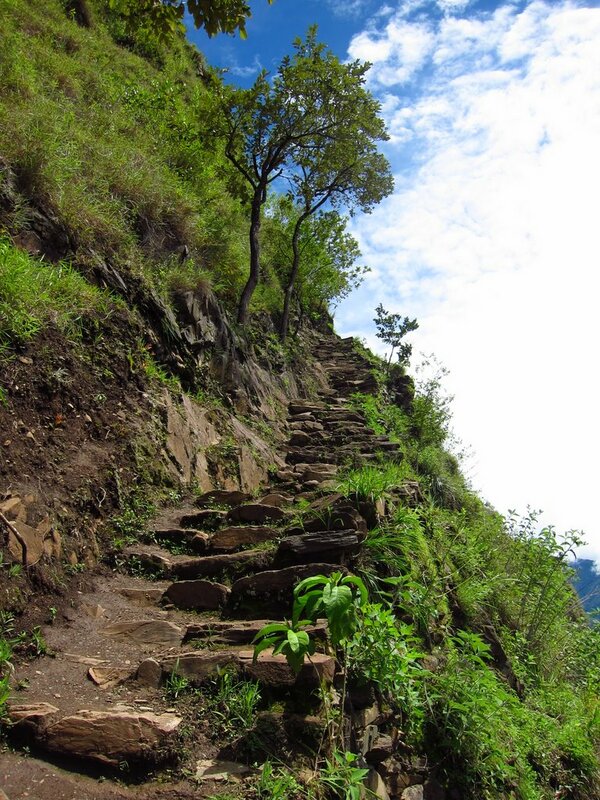 For the unplanned visitor to Machu Picchu, the Inca Trail is often not the best way to go. The Inca trail gets booked months in advance, is closed in February and is very expensive (at least $500 per person and climbing up each year). We did not want to be restricted by booking the inca trail in advance as we had no idea when we’d be in Peru. Yes, we biked down that road! 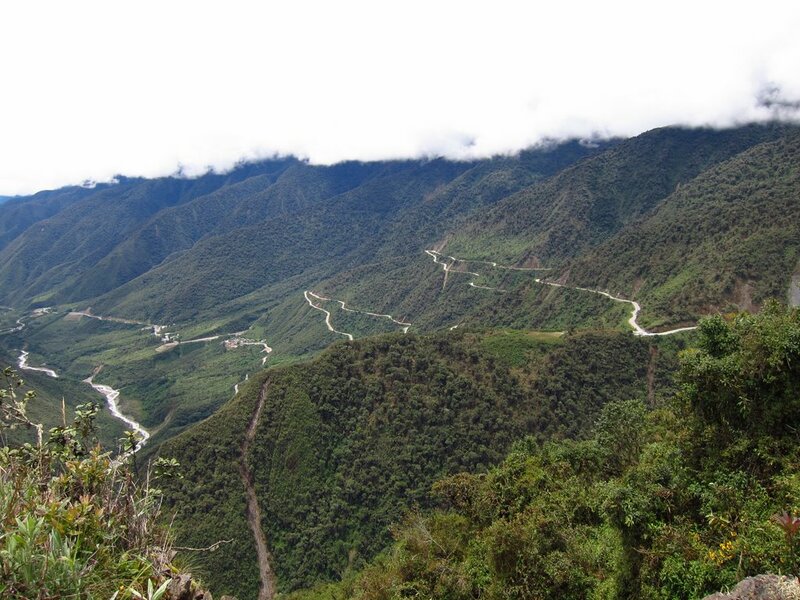 Choquequirao trek – leading to the ruins of the same name. A shorter, far less common trek. I came to know about this when it got featured on the New York Times years ago. You can continue from the ruins for a few more days to get to Machu Picchu. Ausangate – Ausangate and Vilcabamba are harder and more off the beaten track. In addition to these treks, the Huaraz region in Peru offers fantastic trekking (Cordillera Huayhuash/Blanca etc.). Keeping all this in mind, the structure and complexity around the Inca trail didnt really appeal to us. Given it was February, none of these options were open to us anyway. We finally discovered the Inca jungle trek – a biking/hiking combo trek through tropical jungles that leads to Aguas Calientes. And it cost a fraction of the Inca Trail at $180. No camping. You get to stay in small family owned lodges every night. The lodge will prepare your meal based on your request. You carry your own stuff – we packed a very light day pack with just a change of clothes. The food was really good. 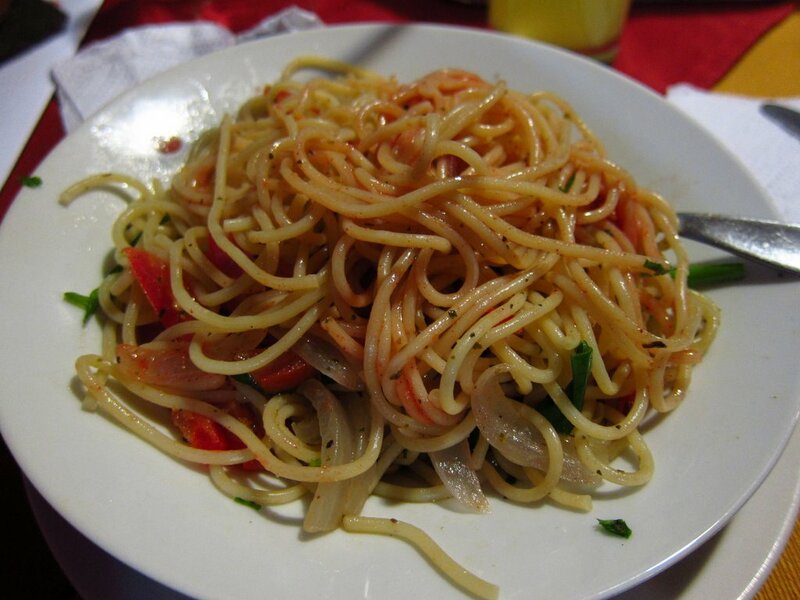 Simple vegetarian fare was very easy to get. Its not cold! Except for the first day and the last day, the weather is tropical and heavenly. 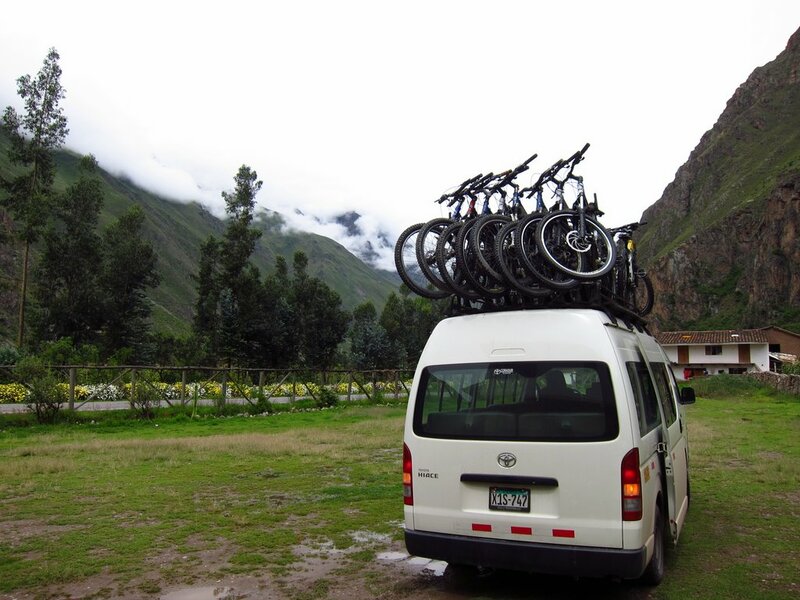 Day 1 – pick up from Loki hostel, drive past ollantaytambo to a high altitude spot at 4200 meters + at Abra Malaga. Crazy and fun downhill bike ride from here. When the ride ends at a village, you get lunch and a small walk later, rest for the day. Day 2 – long walking day. 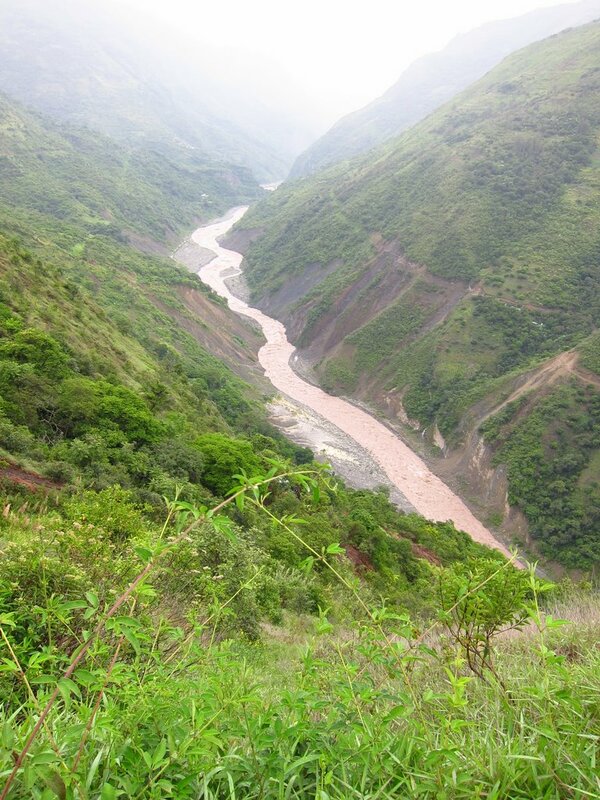 Involves a very beautiful section on an old Inca trail. One of the rest stops is a small house with hammocks and a monkey. A visit to a hot springs along the way. Mostly in jungle, so the weather is great. 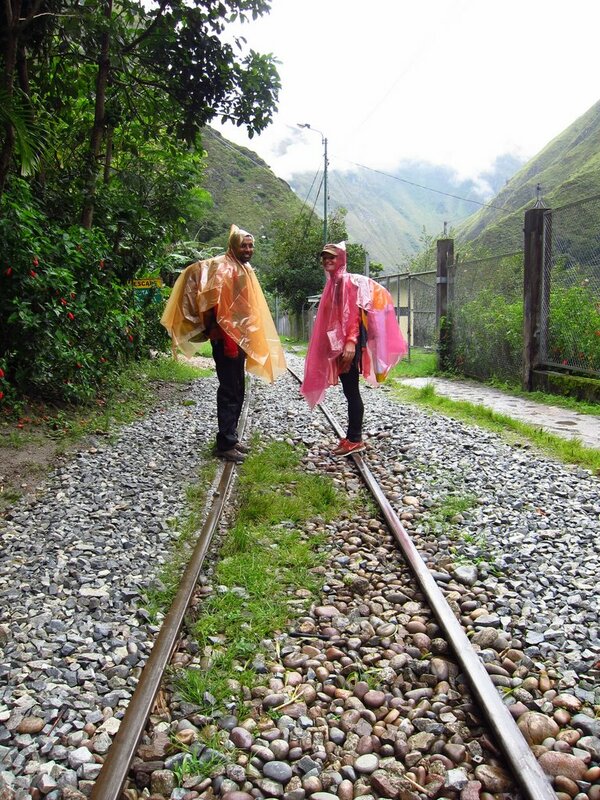 Day 3 – Some more walking and you arrive at the hydroelectrica station near Aguas Calientes. You can take the train if you are tired, but we walked along the rail road tracks for a few hours. Sleep at Aguas Calientes. Day 4 – Early AM walk/bus to Machu Picchu. Bus cost is not included. Guided tour at MP. 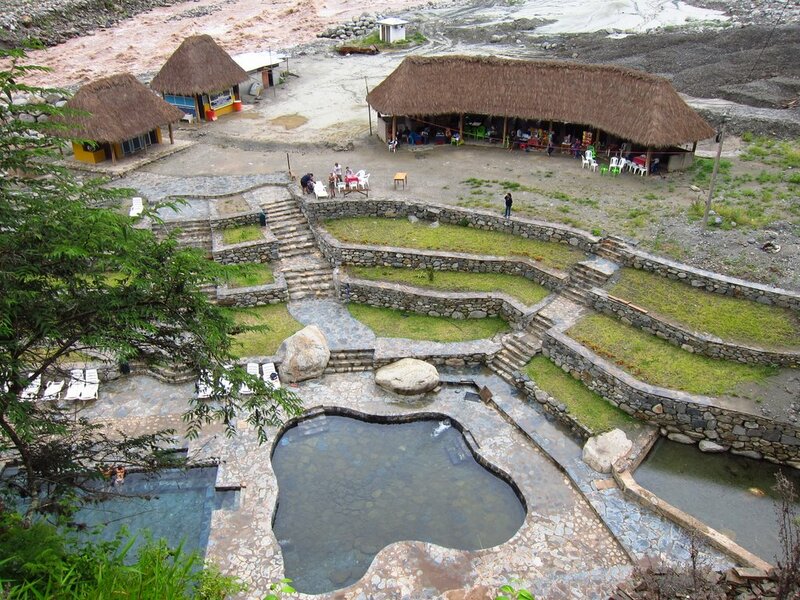 Return to Aguas Caliente for evening train back to Ollantaytambo (train fare included). Bus transport to Cuzco (included in fare). More details here – we booked it through these guys by simply walking to the hostel where our British friend we met in Iquitos was staying. The trek was really well organized and was a great experience. We had excellent company – in fact, there were two Chilean girls whom we met again in Santiago and an English girl who visited us during her travels in India much later. It rained a lot, but we’d dry off quickly once the sun came out. 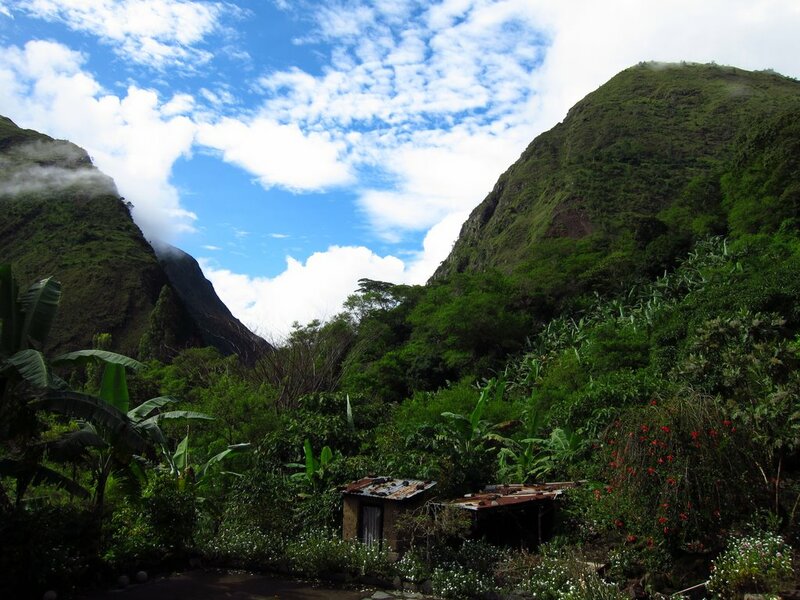 Inca Jungle Trek or Inca Trail? 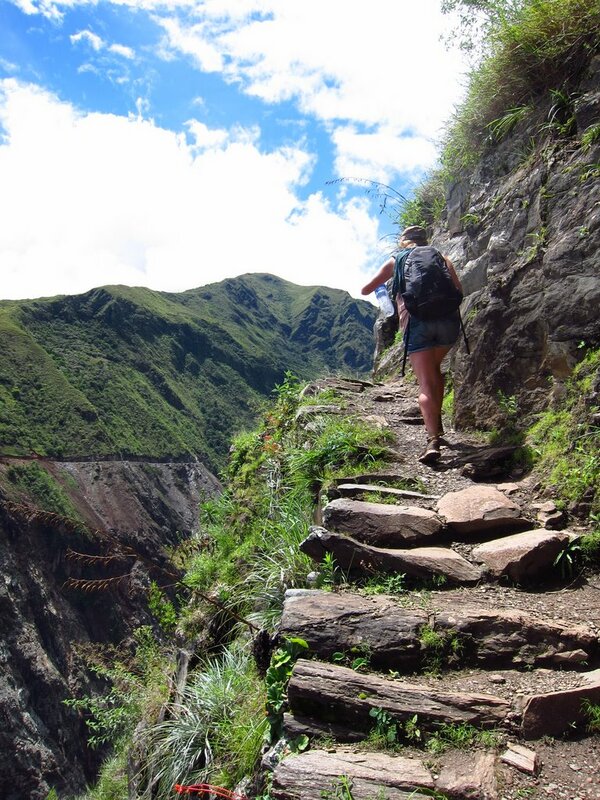 Everyone who visits Peru want to try the Inca trail. While I dont deny for a second that it would be a great experience to be on the historic trail to Machu Picchu, I think its not an easy trek to plan, unless you are exclusively visiting Peru or have rigid timelines. 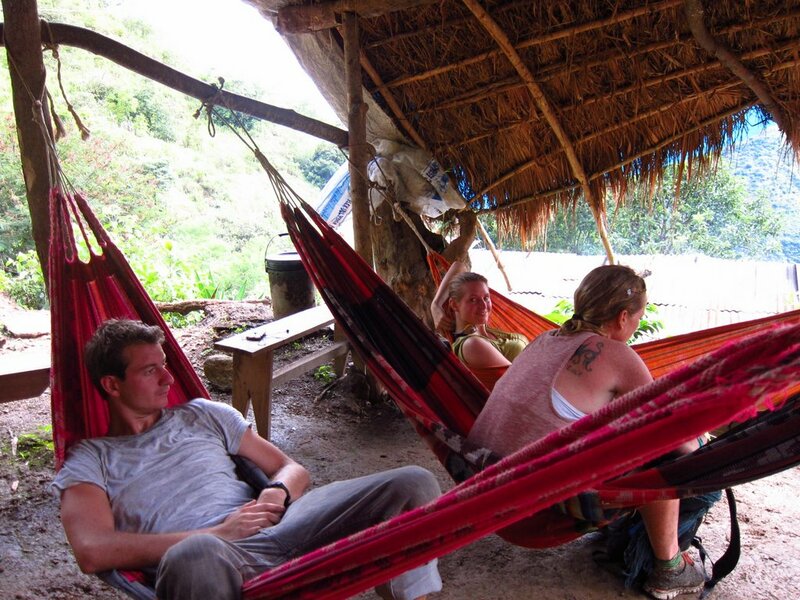 If you are looking for simply a great experience and an opportunity to be amidst natural beauty to forget the rigors of daily life, the Inca jungle trek works just as well! I am quite sure you wont regret doing either trek. Given a chance, I’d happily do the Inca jungle trek again.